Relieve stress with health practitioner, Jennifer Jimenez. Wake UP to your prosperity with My Wealthy Wake UP Call™ Good Morning Messages with expert Mat Boggs – based on The Science of Getting Rich by Wallace Wattles. for an Entire Year and SAVE 60%! This is the gift that keeps on giving! 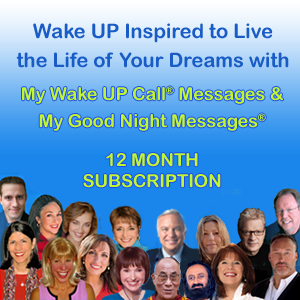 Take advantage of this Special Offer and enjoy a new month of My Wake UP Call® Motivational Alarm Clock® Messages every month for the next 12 months! Wellness focused messages awaken you each morning with a healthy mind-set! Awaken to healing tones, wellness tips, visualizatons and affirmations. These messages are designed for those focused on staying well or getting well! Unlimited replays – messages are yours! I wake up in a good mood and it gets me moving to a great start of the day. Thanks! I’m so happy to have found these messages. ~ PKcagirl. My Workout Wake UP Call® has been featured in SHAPE, SELF, and other major publications, as well as on NBC TV and Fox News. 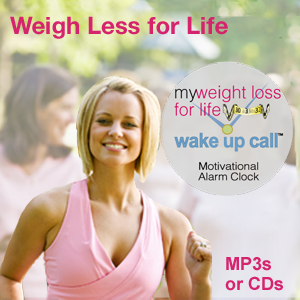 Robin is also grateful to have created My Wake UP Call® new product lines with well-known motivators! Jennifer Jimenez is a pioneer in the fields of dance, fitness, and personal growth. “Transforming the world through movement and dance” is her life’s mission. She holds advanced fitness certificates and training in all traditional dance genres as well as multicultural genres. Jennifer toured as a principle dancer with a modern dance company, and has performed in commercials, music videos, theater, and concerts. She is a master technician in Somatics, dance therapy, breath-work, and energy medicine. These cutting edge techniques are included in her CDs and new DVD, “Prenatal Dance Fitness,” available at Target.com. © 2019 My Wake UP Call® © 2019 - All Rights Reserved. Patent #8,064,295 My Wake UP Call® and Motivational Alarm Clock® are 2 of 8 registered trademarks owned by My Successables, Inc.
All information shared in MY WAKE UP CALL® Inspirational Interviews, provided on www.mywakeupcalls.net or contained in it's productsis provided for educational and inspirational purposes only. Always seek the advice of your physician, qualified health care provider or appropriate professional with any questions you have regarding a mental health or medical condition, and before undertaking any diet, exercise or other health program.